Haley has been teaching since 2012. Currently, she teaches sixth-grade Pre-AP Math at Oakcrest Intermediate School. She has successfully implemented Project Based Learning (PBL) and purposeful technology integration in her classroom. She received an EcoRise grant for a project that encouraged students research and presentation topics for a sustainable garden using geometric concepts and financial literacy for planning and budgeting. Haley is a Level 2 Google Certified Educator and incorporates the suite of Google Apps frequently into her lessons. Haley has made a great impact on the district and school-wide culture. 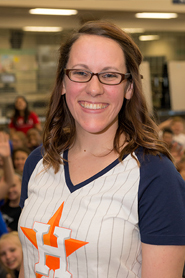 She leads the sixth-grade math team, wrote the Great Expectations and 6th grade Pre-AP math curriculum for Tomball ISD, and taught professional development classes on Google Apps for Education and Pre-AP Math and instructional strategies at the campus and district level. She earned a Bachelor of Science in Elementary Education from Oklahoma Christian University and a Master of Education in Curriculum and Instruction from Texas A&M University. Haley is currently working on her second master’s degree in Educational Technology. 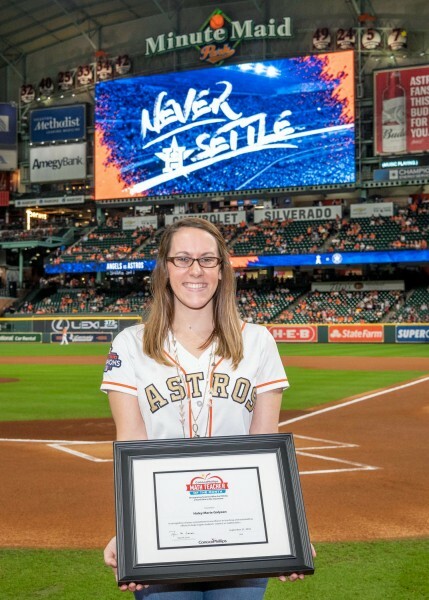 She was recently named the Teacher of the Year at Oakcrest Intermediate for the 2017-2018 school year. Her goal is for students to leave the classroom as responsible citizens of the world and lifelong learners.